NHYDF Showcases provide a low-cost performance experience for young dancers without the pressure of adjudication or selection process. There is space for up to 12 studios, schools, performance groups and choreographers to perform, so please register early! Priority is given to groups who do not participate in competitions. Available at the door or in advance starting in April. Each school/group/company can submit up to 10 minutes of work. There is a $50 registration fee to be included (due with forms). An additional 4 minutes of time may be requested for a fee of $15, for a maximum performance time of 14 minutes. We welcome all group sizes, ages and levels, including solos, junior or novice companies, and student choreography. Please note: submissions are accepted on a first-come first-serve basis. The registration fee for each group must be submitted with registration forms in order to be included. Download a Registration Form using the button to the right. Return completed form via email to: NHYDF@nhperformingarts.org. Make your payment via PayPal using the button to the right, or mail your check with a copy of your completed registration form to: 1242 North Rd Warner, NH 03278. Forms and payment are due by 3/15/19. Once payment and forms are received, an NHYDF team member will confirm your participation in the event. 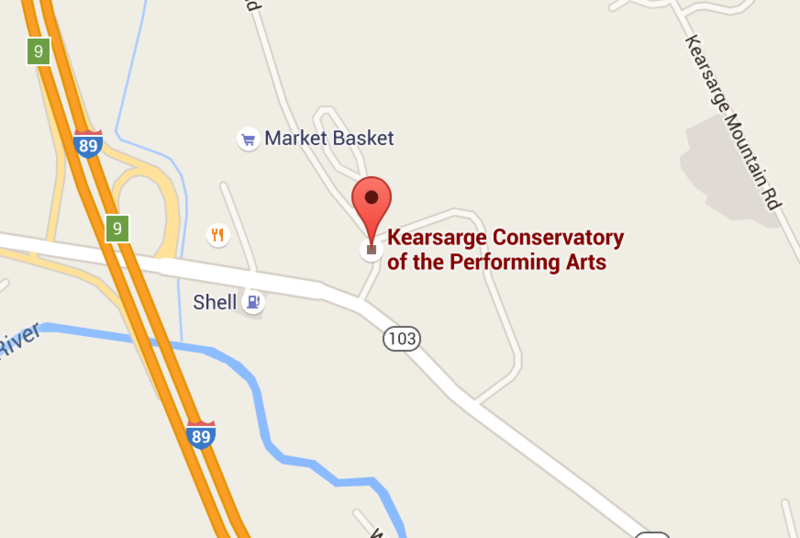 To make a payment by check, money order or cashiers check: Please make checks out to “Kearsarge Conservatory of the Performing Arts” and mail it to 1242 North Rd Warner, NH 03278. Please include a copy of your registration form. To make your payment by credit card: Please click on the button below. You will need to enter the full amount of your payment. If your email address is not associated with your group, please send us an email to let us know the full name or email address that the payment is coming.